1 – In 1986, the Martin House was named a National Historic Landmark. 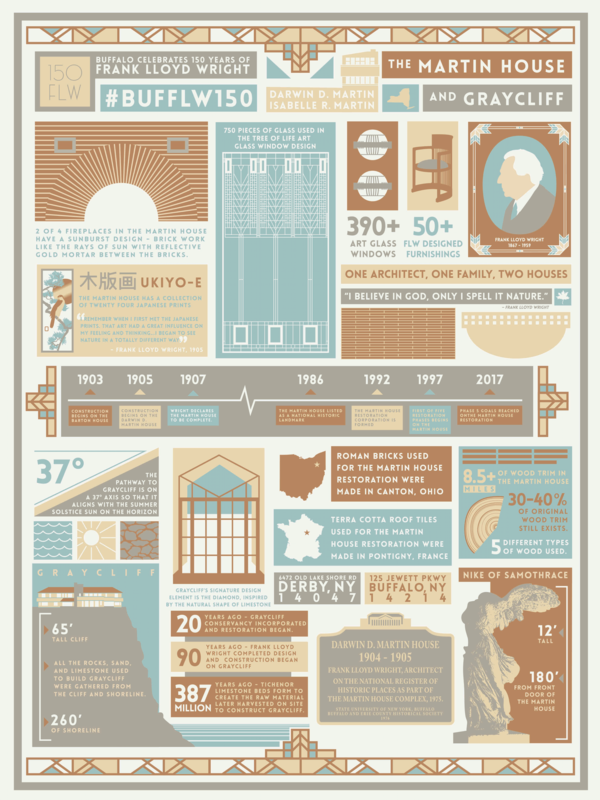 2 – Over the last two decades that the Martin House has been open for tours, famous visitors have included Mick Jagger and Charlie Watts, Sigourney Weaver, Ali MacGraw, and Chloe Sevigny. 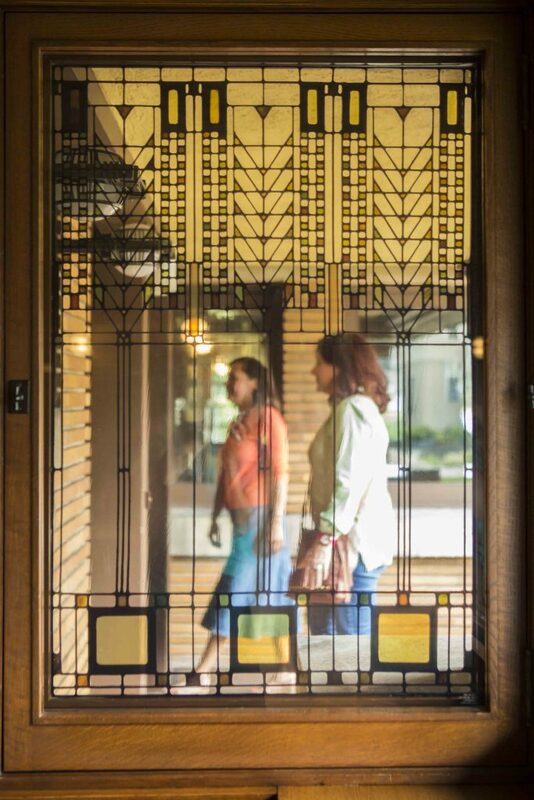 3 – Frank Lloyd Wright designed everything in the Martin House – referred to as a “tout ensemble” or a “Gesamtkunstwerk.” This total design includes the buildings, landscape, interior furnishings, light fixtures, art glass, and selections of artwork and artifacts for interior decoration. 4 – There is more than 8.5 miles of wood trim throughout the entire estate, consisting of more than 90 different profiles. The wood species include white oak, mahogany, and cypress, native to the US and cut rift or quarter sawn. 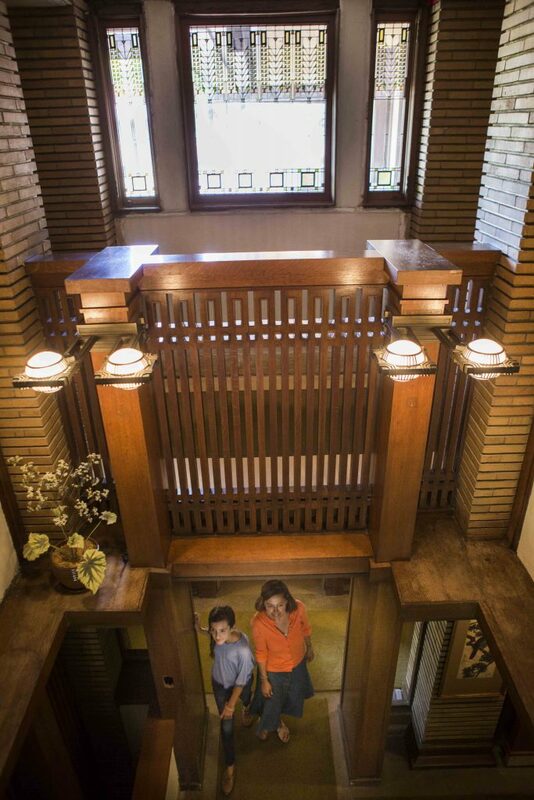 5 – Wright included an underground tunnel in the house’s design that is accessed through the basement of the main house, runs under the Pergola, and reenters the main level through the carriage house where the Museum Store is currently located. 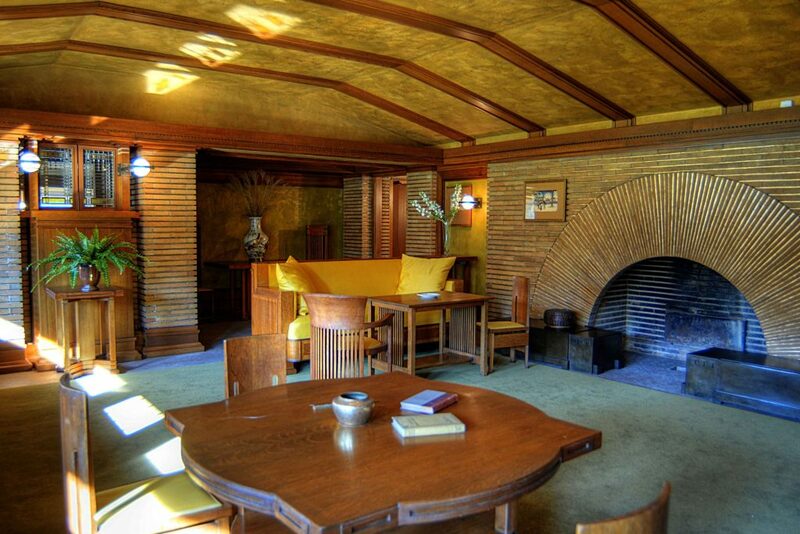 6 – The interior brickwork of the Martin House is accented by reflective gold mortar between each brick, including the two brick sunburst fireplaces. 7 – The first house built on site, the Barton House, was a test project to see if Martin and Wright would have a good working relationship, despite the first house ending nearly three times over budget, they not only continued working together but became lifelong friends. 8 – The hundreds of art glass windows are adorned with intricate design work, such as in the Tree of Life design – which has as many as 750 individual colored glass pieces. 9 – The Martin’s had two horses, named after Civil War generals, Sherman and Sheridan. The horses’ stables are used for Museum Store displays. 10 – The Nike of Samothrace statue that watches over the conservatory stands tall at 12 feet and can be easily seen from the front door, some 180 feet away. 11 – Isabelle Martin taught kindergarten in the lower level of the Martin House, where education programs such as summer camp and scouts take place today. 12 – Mr. Martin used a table top thermometer (see it on tour in the library) to read and record the temperatures in each room of the Martin House to ensure he was not over-spending in heating costs. 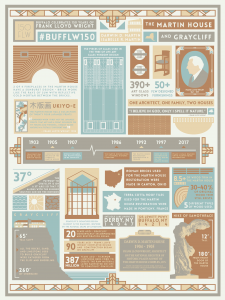 13 – Frank Lloyd Wright, inspired in his work by Japanese design, decorated the house with 24 Japanese prints. “I remember when I first met the Japanese prints. 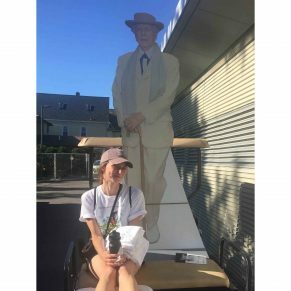 That art had a great influence on my feeling and thinking… I began to see nature in a totally different way,” Wright stated. 14 – When the landscape is complete, visitors will be able to see the direct reflection of colors, shapes, and natural elements that were taken from the gardens and applied to the interior of the house, informing the design decisions throughout the complex. 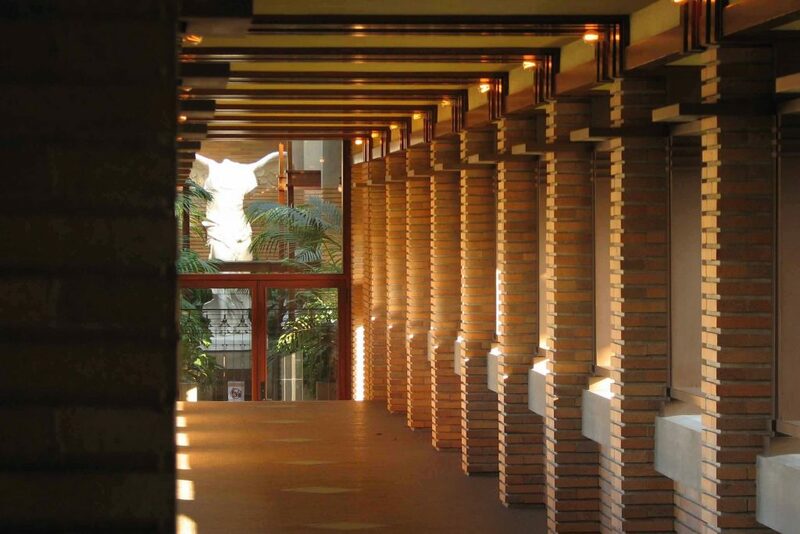 For more info on tours and details of Frank Lloyd Wright’s Martin House Complex visit www.martinhouse.org. 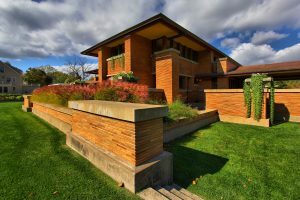 Caitlin is the Marketing Manager for Frank Lloyd Wright's Martin House.